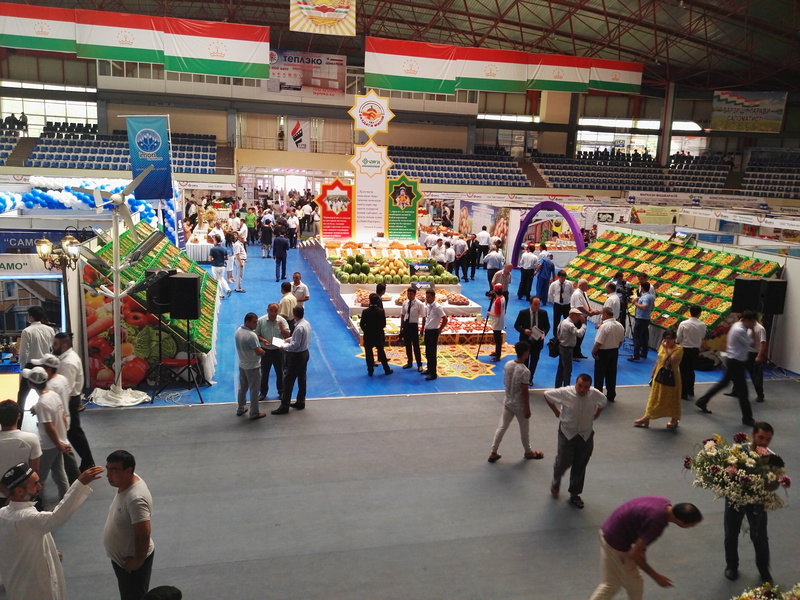 KHUJAND -- The "Sughd: Valley of Possibilities" international trade fair, held annually in Khujand, this year provided the opportunity for businesses from Tajikistan and Uzbekistan to expand trade and dialogue. The fair was held July 6-7 and is the latest indication of burgeoning co-operation between the two countries, analysts say. The event has evolved into a platform not only to showcase various products but also to support a wider dialogue between manufacturers, consumers and investors, organisers said. 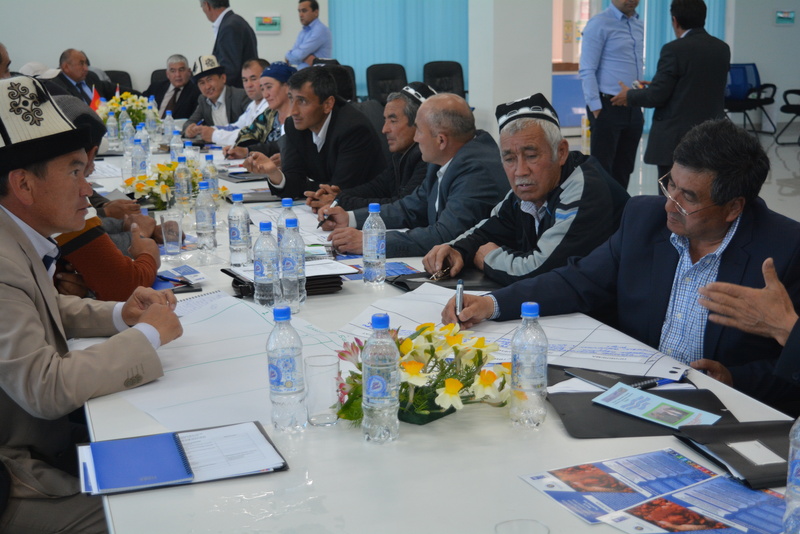 "Our mission is to showcase our potential and interesting projects that need investments and to create a platform for dialogue among businesspeople, especially from Central Asian countries," Anvar Yakubi, the deputy chairman of the Sughd Province government, told Caravanserai. "Trade is an effective way to achieve peace and stability," he said. "We have good transportation routes and a liberal trade regime, as well as huge intellectual potential." "We have nothing against developing trade with Afghanistan, and helping the population of that country find an outlet other than war and drugs," Yakubi said. More than 300 visitors from 14 countries came to Khujand to take part in the fair this year. Those countries included Uzbekistan, Germany, Poland, Macedonia, Belarus, Russia, Kazakhstan, Turkey and South Korea, among others. "More than half of the participants were representatives of Uzbekistan's business community," said Shukhrat Kodirov, a member of the committee that organised the fair. "There were 65 companies in total that showcased their goods, representing Tashkent, Khorezm, Samarkand, Bukhara, Fergana, Margilon and Andijan." On the sidelines of the event, the Tajik and Uzbek business communities signed more than 40 contracts worth more than $8 million, as well as several letters of intent for co-operation, organisers said. The contracts signed could help raise co-operation and trade between Uzbekistan and Tajikistan to a new level, according to analysts and business owners. "Our neighbours extensively presented their textile products; goods from the chemical, food and machine-building industries and household goods that Uzbekistan manufactures in ample quantities -- but some of which Tajikistan has to import for lack of factories," Kodirov said. The event took place ahead of a planned visit by Tajik President Emomali Rahmon to Uzbekistan scheduled for August 17-18. The official visit "will give new impetus" to the developing economic co-operation between the two countries and in the whole region, according to Uzbek trade official Dilshod Mengliyev. "Trading with Tajikistan and other neighbouring countries is advantageous for us because it doesn't require major expenditures, and besides that, [we have] solid traditions dating back to the Silk Road," Mengliyev, deputy director of the Chamber of Commerce and Industry of Tashkent Province, told Caravanserai. 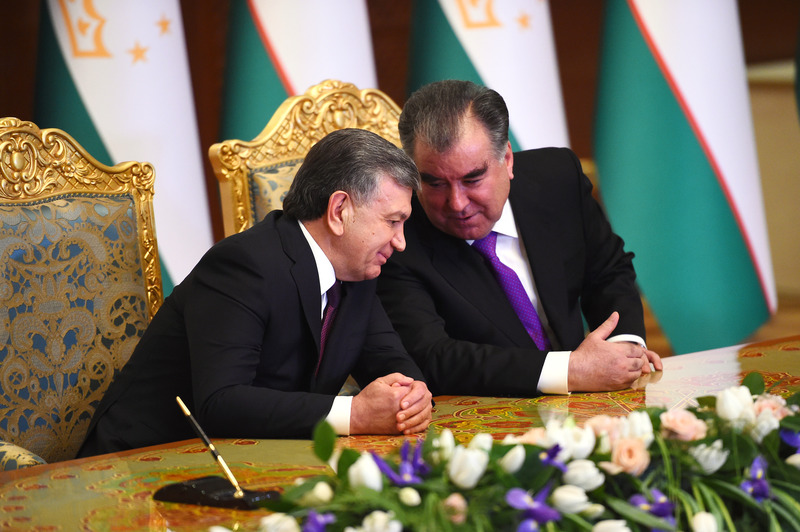 It is very important to develop relations with Tajikistan "to reinforce the positive trends that began after our president, Shavkat Mirziyoyev, visited Tajikistan [in March] and opened up the borders between the two countries", he said. Trade between Uzbekistan and Tajikistan over the first six months of this year amounted to $150 million-$180 million, according to Mengliyev. For the most part, Tajikistan supplies cement and electricity to Uzbekistan, and Uzbekistan supplies natural gas, building materials, mineral fertilisers and textile products, he said. "The figures could be considerably higher, if we take advantage of the potential that is there," he added. Improving transportation networks between Central Asian countries could also bolster foreign trade and regional co-operation, according to analysts. Tajikistan ranked 70th in road quality among 137 world economies rated by the World Economic Forum in its Global Competitiveness Index 2017-2018. It was the highest ranking for a Central Asian country. Modern, international transportation corridors built in Tajikistan since it gained independence have the potential to increase foreign trade manifold and could allow businesses in Uzbekistan to enter markets like Afghanistan, Pakistan and India. "The fact that Khujand, with its ancient trading traditions, is situated at a crossroads sets it apart and makes its geographical location advantageous," said Azizullo Avezov, a Khujand-based economist. "The city could not only become a place to hold major economic forums but an important link in the chain of trade between North and South, East and West," he told Caravanserai. By developing trade and reducing poverty, Tajikistan is eliminating grounds for radicalisation, say observers. For the first time in years Kyrgyz farmers and business owners crossed over the border on a officially sanctioned visit to sell and buy goods in Tajikistan.